It doesn’t to be all about hard work, though. Here are a couple of the best online GCSE Maths games to help you learn, while also having (a bit of) fun and getting your nose out of the books. The BBC has a whole range of decent KS4 games to help you kill some time while also getting a bit of GCSE maths revision done. 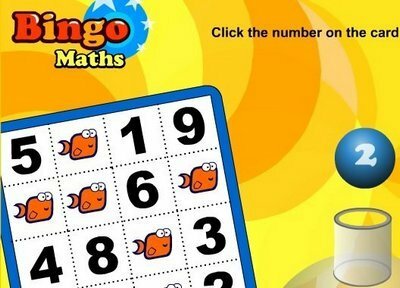 This BBC Maths Bingo game consists of nine questions and works through a variety of tests from right-angled triangles and prisms to circumferences, Pi and bearings. Struggling with your algebra? Algebra Meltdown involves you teaming up with a couple of scientists to work out the equations and power up some unspecified atom-related project. Anyway, you can work your way through from beginner levels (little more than a bit of adding up to get your brain in gear) right the way up to extreme, where things get a little trickier. Another BBC Maths game (select the three maths options to keep it Maths-based or throw another subject or two in the mix), Spherox involves you driving a spaceship, answering Maths questions put to you by space EMOs, picking up doughnuts and falling into the chasm of space (a lot in our case) along the way. There are worse ways to kill 30 minutes of revision time. Looking for even more sites to help you with your Maths revision? 1. Studymaths.co.uk has a range of tests like this speed times tables one to get your brain in prime condition for examination day: Studymaths.co.uk. 2. This quiz from Educationquizzes.com (one of several) is perfect for polishing your angles skills: Educationquizzes.com. 3. Finally, brush up on your probability with this last one from CGP Books: Cgpbooks.co.uk. Looking for more ways to kick-start your GCSE revision? Check out our tailor-made tips. Or think about taking the next step with one of our online Maths A Level courses.